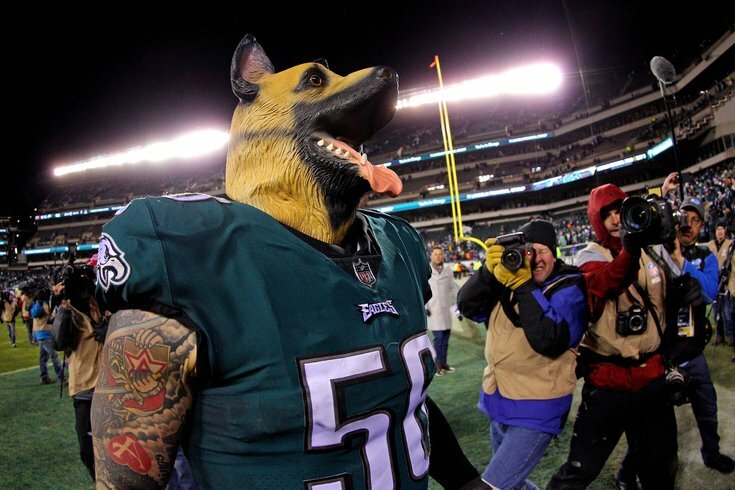 Underneath this dog mask is Chris Long. The city of Philadelphia may still be reveling in their post-Super Bowl glow, but out in Las Vegas, they've already turned their attention to the 2019 Super Bowl, releasing early odds for next year's big game. And, despite their win over the Patriots on Sunday night – not to mention the fact that quarterback Carson Wentz is expected to be ready to go for next season and almost all of their starters are under contract – the Eagles are not the favorites. According to the Westgate SuperBook in Las Vegas, the Birds have the second-best odds to win the 2019 Super Bowl. The favorite? The Patriots (of course). The Eagles, who won all three of their postseason games as underdogs and were +4000 at this time last year, seem totally fine with their odds.